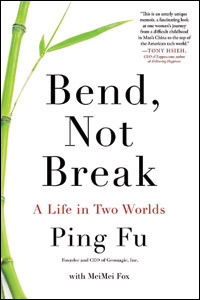 Ping Fu lived a tumultuous life in the midst of the Chinese Cultural Revolution but persevered and established a successful career despite it all. Ping Fu is not just an alumnus of UC San Diego and a co-founder of Geomagic, a 3D software development company. She is also a former child soldier, factory worker and political prisoner. Ping was taken by Red Guards in the midst of Mao Zedong’s Cultural Revolution when she was eight years old. She was sent to the countryside for re-education where she endured hard labor without parents while taking care of her younger sister. After Zedong died and universities opened up again, Ping studied literature at Suzhou University. Her thesis was on the effects of China’s one-child policy, revealing widespread female infanticide that the government denied. She gained international attention and China exiled her to the United States, where she had to make a new life without money or knowledge of English. She worked as a babysitter, cleaning lady and waitress to pay for school in New Mexico. She then moved to San Diego to complete a B.S. and M.S. in computer science. Her professional life is just as extensive as her personal history.